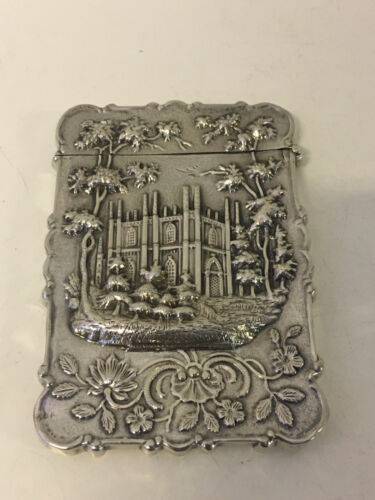 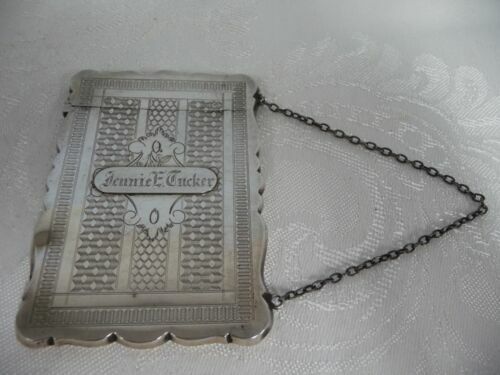 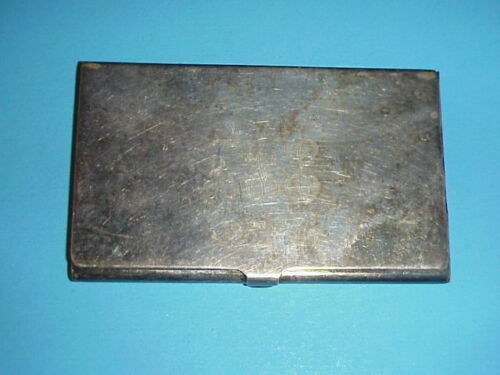 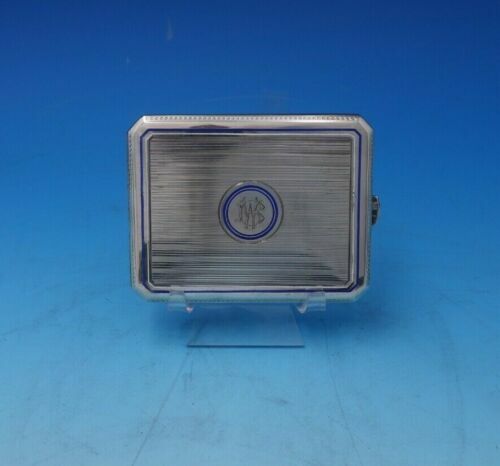 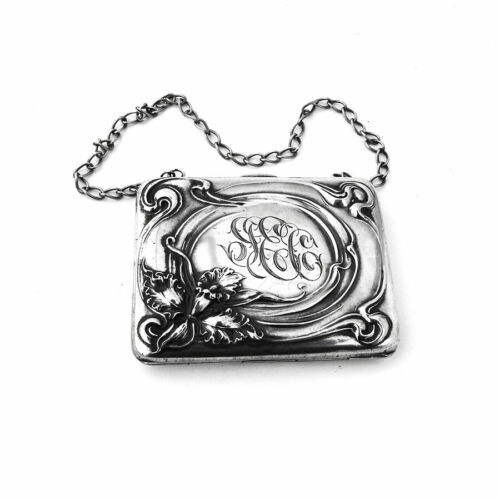 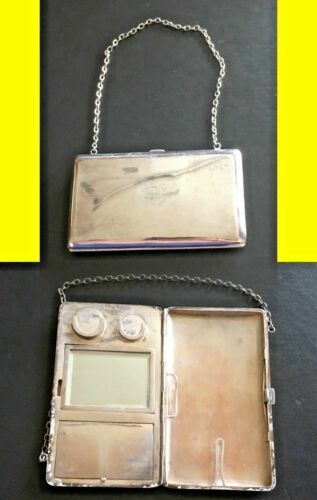 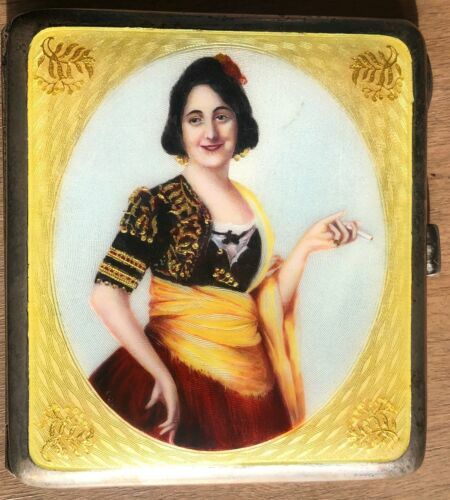 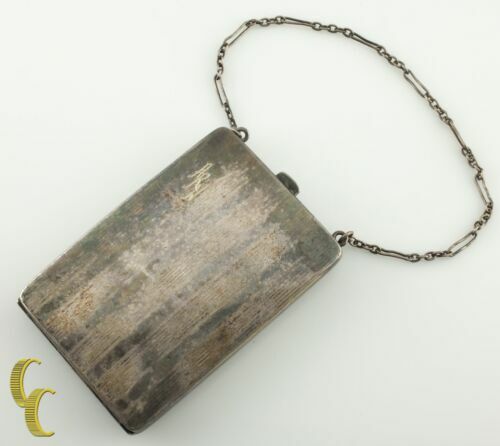 $120.0 Antique Silverplate WM & Co Vanity Compact Card Holder w/ Chain Nice Detail! 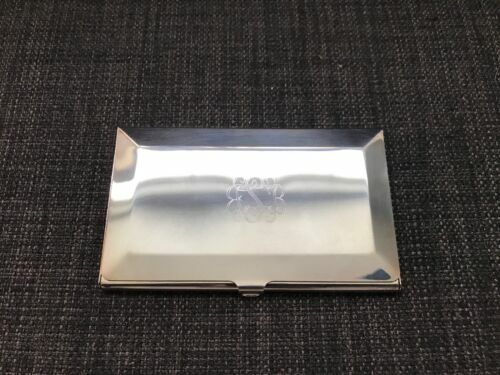 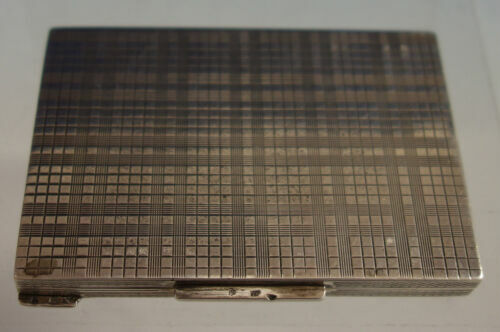 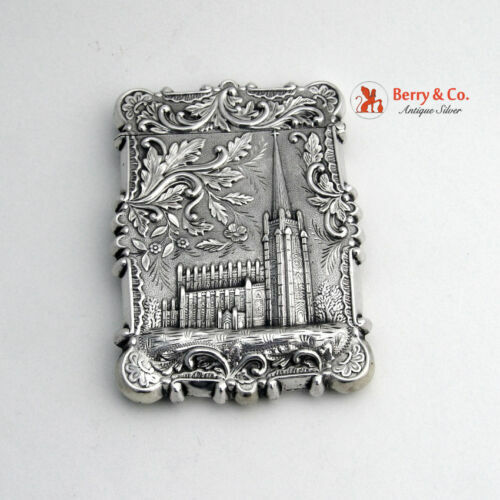 $285.0 Antique Sterling Silver Card Case 19th C.
$214.5 Thomas Whartenby Co. American Coin Silver Card Case, circa 1850. 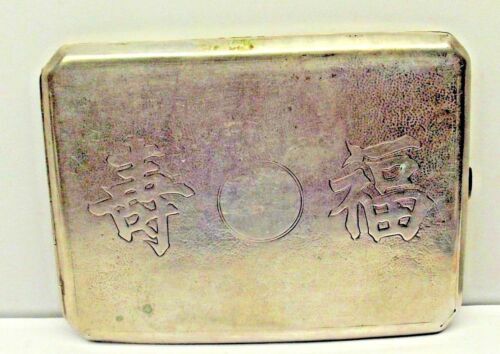 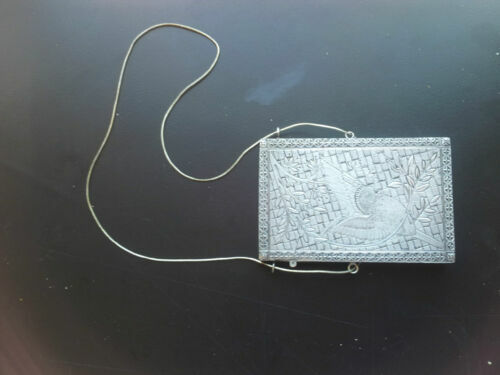 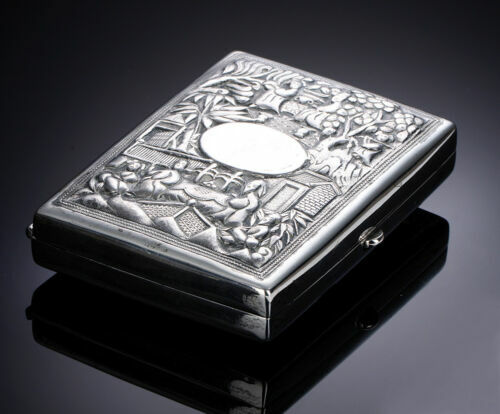 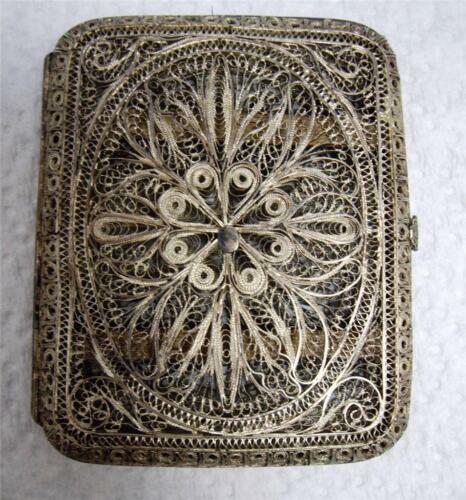 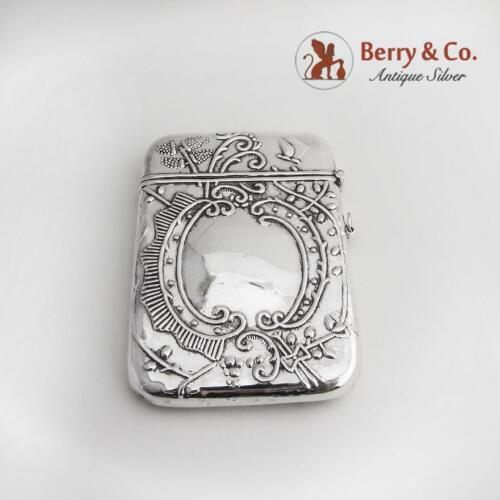 $499.99 Great Figural Eagle Coin Silver Card Case w/FLoral Back 3 1/2" X 2 3/8"
$245.0 Vintage Sterling Silver Cigarette Case.